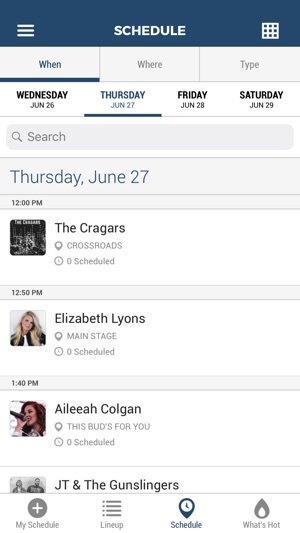 Chippewa Valley Country & Rock Festival INC.
Push Notifications: Get only the most important information sent directly from festival staff to your phone, including real-time announcements, schedule changes, emergency information, weather updates and special offers. 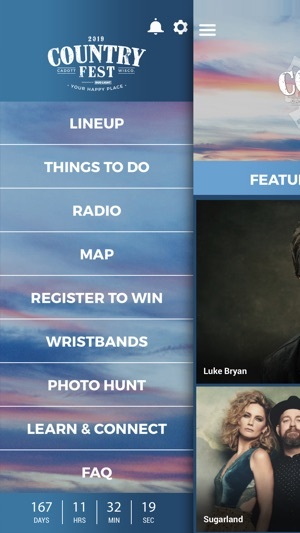 Opt-in to stay on top of everything Country Fest. FAQs/Guidelines/Rules: Have everything you NEED to know available any time, any place, right from your mobile device. All information about camping, registering your wristbands, what's included with your tickets, how to sign up for shuttles and so much more is right here. With this information, you'll never have to question what's going on. 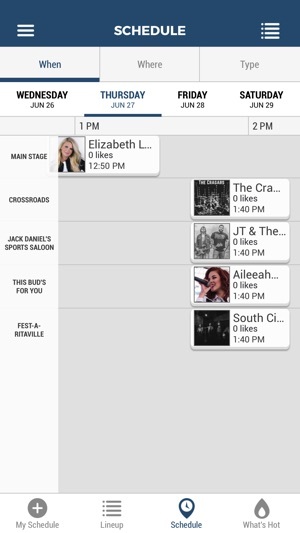 Customized Schedule: See every artist and where/when they are performing. 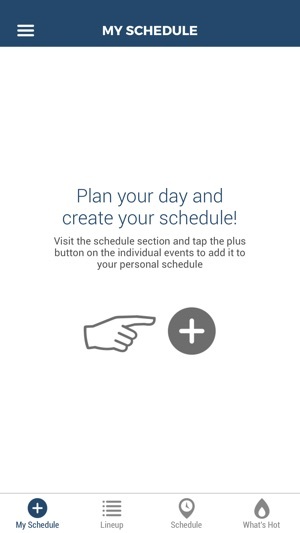 You can also add them to your custom My Schedule screen for quick reference any time. Tell your friends where you'll be by sharing your schedule. Schedule Alerts: Easily add performances to your device's calendar and set a reminder so you don't miss out on any performance. Do this by going to the artist's detail page and selecting "Set Alarm." 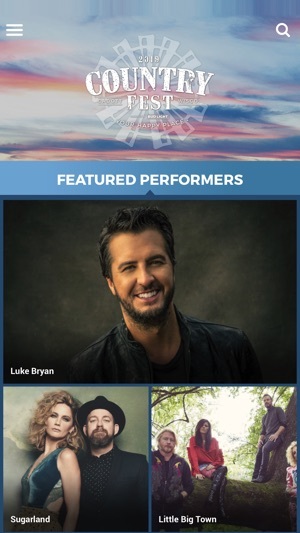 Artist Info: View Country Fest 2019 performing artists' bios, photos, videos and more! Merch/Vendors/Shopping: Find up-to-date descriptions of all Country Fest vendors, merchandise store hours, and more. Map: Uploaded closer to the festival. Have an overview of the festival in the palm of your hand. Use our map for quick reference throughout the festival. Refresh for Country Fest 2019! This is an awesome idea. I love it and can't wait to use it at countryfest this year. We are always wondering who plays at what time during the weekend and this is gonna be SO handy! Plus I love to become familiar with all the artists' songs before I go and love the radio option! The map will be awesome when I get too tipsy. Haha! Thank u! The app is awesome! I love the notifications for the show start times. Well done!